Hello! 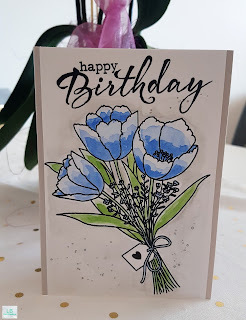 I am back with another card using Clearly Besotted stamps. (yes I am looking forward to their holiday release) I bought the 'trouble in a tutu' set a long time ago but hadn't had the chance to use it yet. 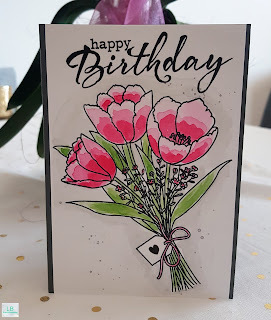 Finally I created a birthday card with it. I stamped the images with manatee ink from Lawn Fawn (second generation stamping) and traced circles around them. Then I colored them all in. 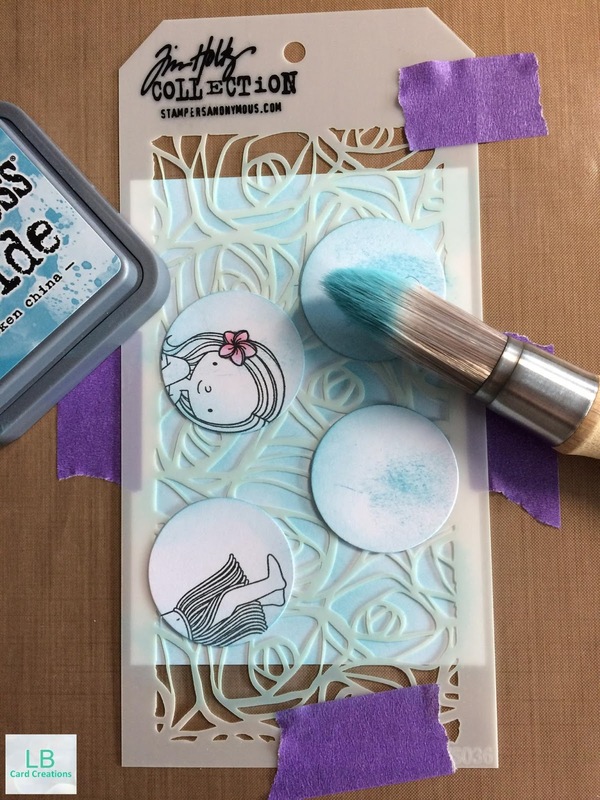 After that I used a Tim Holtz stencil and stencil brushes to create a soft background for the little ballerinas. 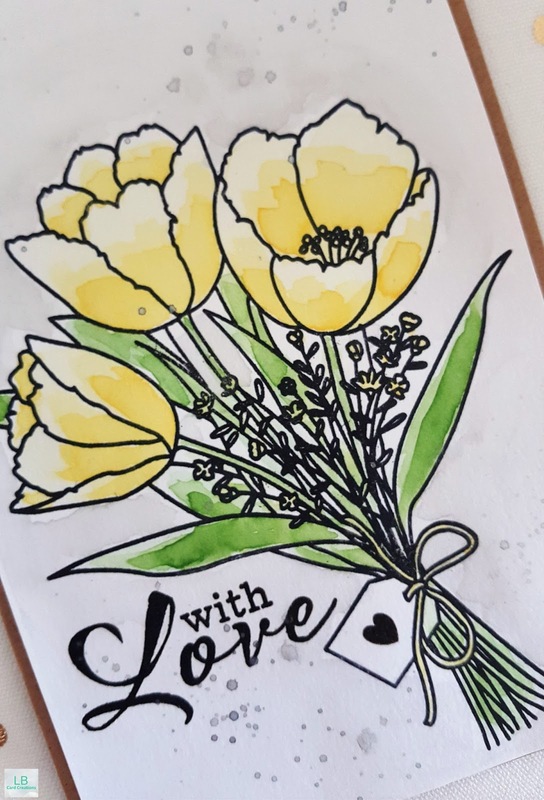 I added the sentiments with hippo Lawn Fawn ink and added some nuvo drops in oyster grey. Thank you for stopping by and have an amazing day!! Hello everonye! 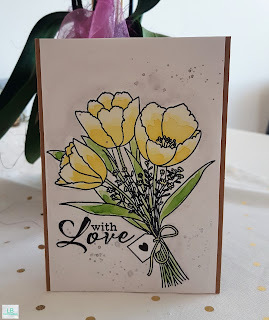 I just love the designs from Clearly Besotted and I have so much fun using the stamps again. The stamp set 'good to be bad' is one of my favorite sets and I enjoy using it all year round. This time I started out by layering most of the images of the set and coloring them in with Zig clean color real brush markers. I also used the balloon stamp from the 'all in onesies' stamp set. Then I diecut a frame using the polaroid frame die from Mama Elephant from Lawn Fawn pattern paper. I adhered the frame to the watercolored image and trimmed the piece down. I created a blue watercolored background and cut a grey frame using the dotted detail die from Mama Elephant. After adhering all to a white card base I stamped the sentiment with fresh lavender Lawn Fawn ink and the labeled message stamp (ME). 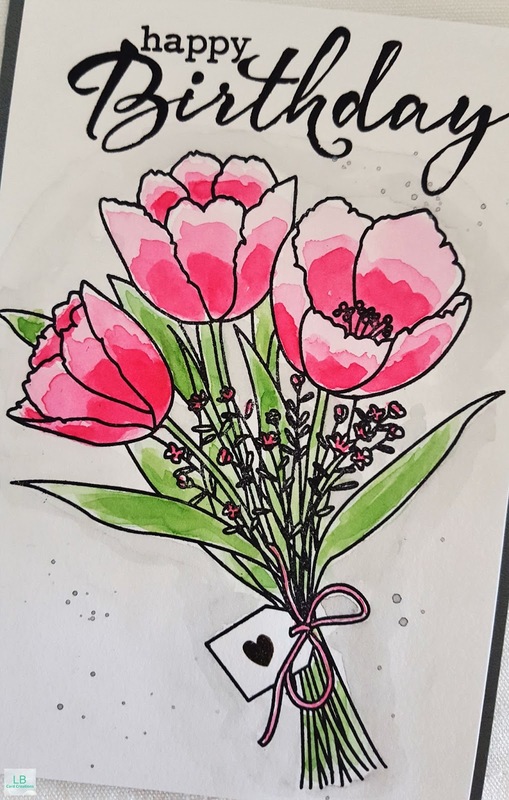 I added a handwritten "#from the gang" to the card because I didn't have such small letters. Today I made this happy summer card using the MFT stamp set 'polynesean paradise'. 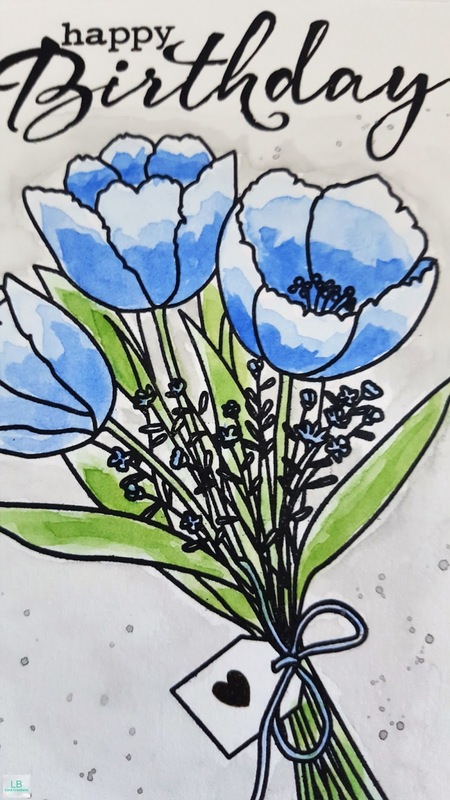 I stamped a bunch of flowers as well as the cute girl from the set and colored them in with Copic markers. Then I fuzzy cut all them. I used the ink smooshing technique with distress ink (peeled paint) to create the background. I die cut the second largest oval frame from the Avery Elle die set 'sweet scallops' and arranged the flowers around the oval window shape. 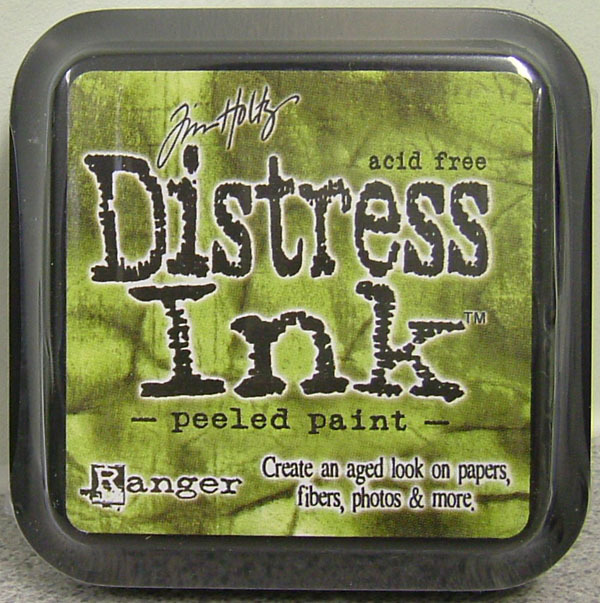 The negative piece I stamped with the MFT 'etched flowers' background stamps and distress oxide ink in peeled paint also. Last but not least I adhered the frame and the girl with foam tape to a craft cardbase after I had glued the oval negative piece to the base. I hope you like the card and I'll see you soon.